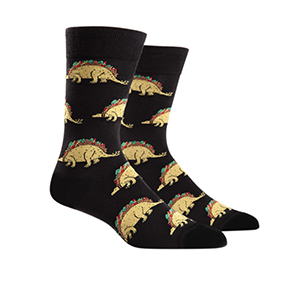 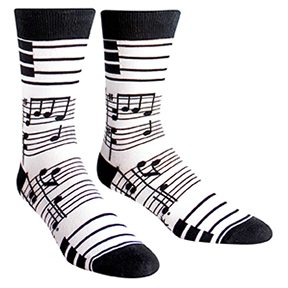 Pull on a pair of these delicious and powerful Tacosaurus socks. 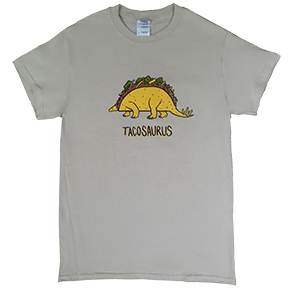 Is it a dinosaur with a soft shell or a taco with meat? 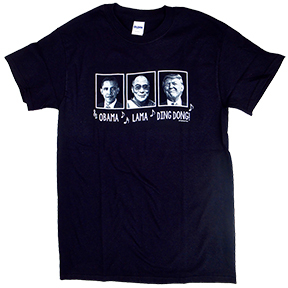 One-size fits all cotton/poly/spandex blend.